Ann Marie has only been baking for three years, but she's sure she can make up for her lack of experience with vigour and enthusiasm. At home, she jumps out of bed at five a.m. on Sunday mornings to start baking up a storm. On Sundays, Ann Marie jumps out of bed at five a.m. to start baking up a storm. In butter tarts, raisins or no raisins? "Never. Never raisins." Ann Marie Whitten lives in Southern Ontario, but she's proud of her Newfoundland roots — the food and culture of Newfoundland has been a major influence on her baking. "I grew up watching my nanny and aunt baking fresh Newfoundland bread and making pies," she says. "Everything was homemade. I loved to be part of making the bread dough." Although Ann Marie has only been baking for three years, she's sure she can make up for her lack of experience with vigour and enthusiasm. At home, she jumps out of bed at five a.m. on Sunday mornings to start baking up a storm. She plans to bring that same "go get 'em" attitude to the tent. 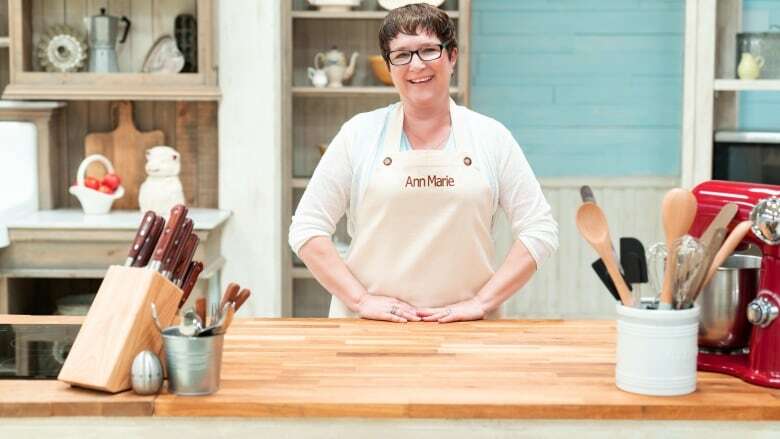 For Ann Marie, baking is a way to de-stress from her fast-paced career. She describes being in the kitchen as a "priceless" part of her life. "Baking is my yoga," she says. "I literally cannot wait for the time I get to bake during the weekends, just to level out." Ann Marie's co-workers keep a close eye on her Instagram to see what treats she'll be bringing in each Monday. In fact, everyone around Ann Marie benefits from her baking. "I normally bake for my husband, Ted," she says. "He's awesome. We're newlyweds. He loves my baking, but he likes to tell everyone he was a lot thinner before." Ann Marie is the mother of one adult daughter, who encouraged her to apply for the show. "My daughter is my lucky charm." she says. "She just wanted me to know that no matter what happens, she's proud of me for doing something I love."